My Dad set me an email. He is the absolute very last person in the universe I expected to get an email from for oh- so-many reasons. I told him I had a blog and sent him a link, so this, then, is a picture for him. 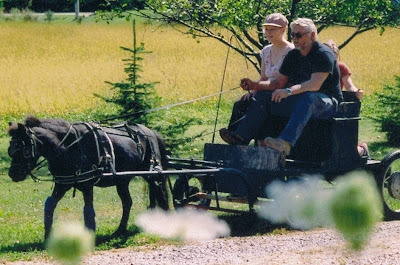 It is he and I and his miniature horses at his farm in Wisconsin last summer.